Tabletop photo frame 4x6 has a unique light grey diamond edging in pearl on a dark grey wood moulding. Frame can sit both horizontal or vertical on a table. 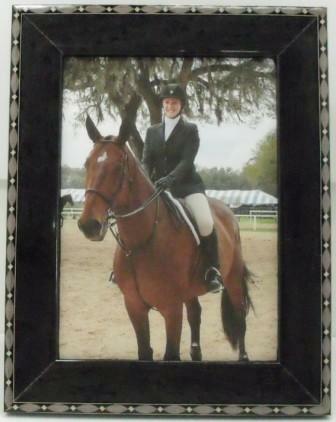 Glass, photo mount board & velvet easel with a gift box. Easy door on back of frame for inserting picture.